Disney Epic Mickey 2: Power of Illusion Nintendo 3DS Just $9.96 + FREE Store Pickup! 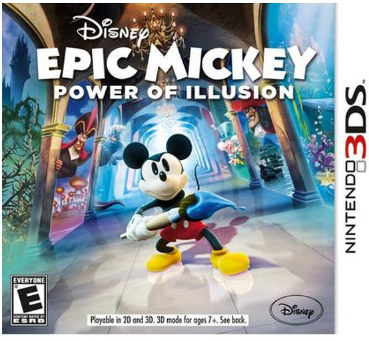 You are here: Home / Great Deals / Disney Epic Mickey 2: Power of Illusion Nintendo 3DS Just $9.96 + FREE Store Pickup! Here’s a fun deal for all you Mickey Mouse fans! Get this Disney Epic Mickey 2: Power of Illusion Nintendo 3DS for just $9.96 right now!! Shipping is FREE when you select Site-to-Store Pick Up (if available in your area)!